Eric Neale wasn't surprised to hear about a buried city report raising concerns about the asphalt on the Red Hill Valley Parkway — he's been seeing the problem firsthand for years. On rainy days Hamilton tow truck drivers head to a crumbling stretch of abandoned road overlooking the Red Hill Valley Parkway, watch the traffic rushing by on the busy road below — and wait. They never have to wait long. Eric Neale, a driver for Granby's Towing and Recovery, said it doesn't take much — a little rain, a little snow — to transform the otherwise functional six-kilometre stretch of road into a wrecking ball. "You just sit here and watch them spin out one by one," the 21-year-old said Friday afternoon as cars wound their way down an on-ramp and accelerated into the three lanes below. "Just a little bit of rain on the asphalt for the Red Hill and it turns into a skating rink. Every five, ten minutes you're seeing a car spin out in this area." For years, community members, especially those who lost loves ones on the notoriously slippery parkway, have raised alarms about the road surface. For years city officials have responded saying studies show it meets the necessary standards. But last week, council released a bombshell report from 2013 that had never been made public that stated friction values on the deadly parkway were below expected standards and in some places, well below. 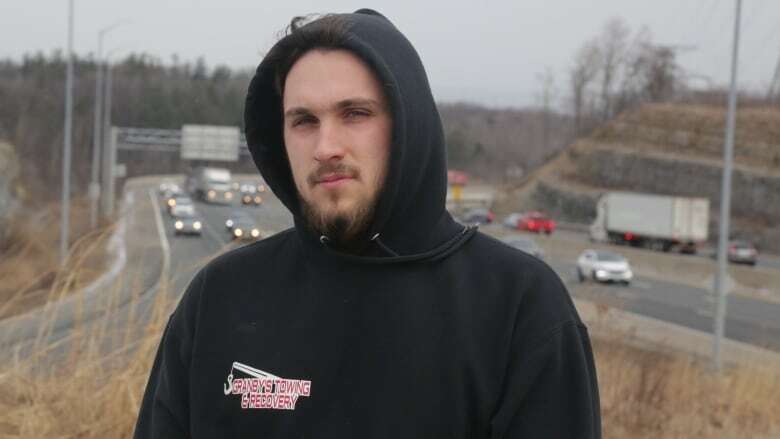 That report didn't come as a surprise for drivers like Neale who have watched the number of cars crashed along the parkway stack up for years and who has helped many with his tow services. "After hearing the reports were 'found' apparently it doesn't surprise me at al that it's a lot worse than everyone thinks." Hamilton's 2017 Collision Report provides some startling numbers. Between 2013 (when the recently rediscovered report was written) and 2017 there have been a total of 862 crashes on the Red Hill Valley Parkway — four of them fatal. Sixty-five per cent of those collisions happened when the road surface was wet. Neale has worked in the Hamilton area for about three years and estimates in that time he's been called to at least 60 collisions on the expressway, from fender benders to crashes that send cars and trucks somersaulting through the air, leaving them crumpled like pop cans. Nadine Muis knows what it's like to survive one of those terrifying rollovers. In May 2015 she was driving home from work after a light rain when suddenly she lost control near the King Street overpass. Muis said she was travelling the speed limit when the vehicle started sliding into the grassy median. "My car ended up doing a nose-dive. 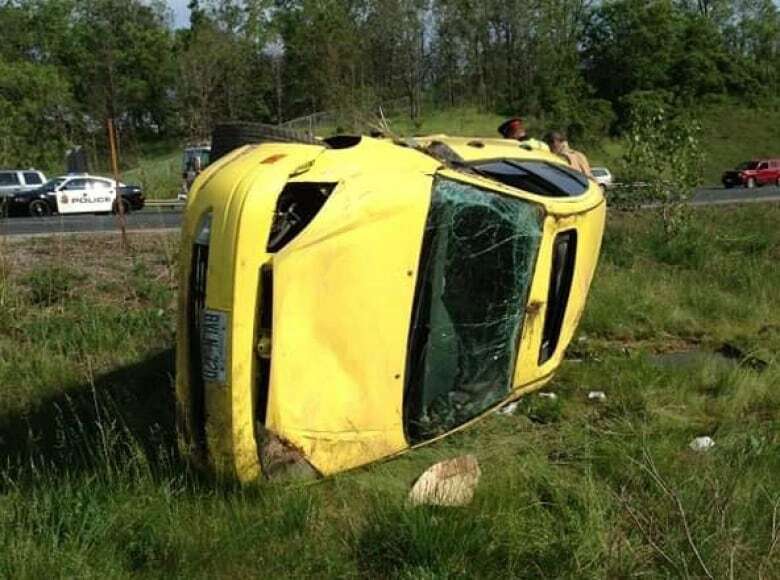 I flipped my car and it landed on the other side of the highway," she recalled. "I remember clutching the steering wheel and trying to turn. As I was flipping upside down I could see the oncoming traffic. It was the freakiest thing, the loudest noise. I'll never forget it." Just two days before, Muis said she had found out she was pregnant, so as her crushed yellow car finally came to a stop, her first thoughts were worries for her unborn baby. By some miracle, she managed to climb out the sunroof and escaped the crash largely unharmed. But the impact of the crash wasn't over. A few days later Muis said police officers knocked at her door and handed over her driver's licence, along with a hefty ticket and three demerit points. Now, even years after the crash, Muis and her husband haven't been able to afford another car. She also wasn't shocked by news of the buried road surface report and feels the city should bear some of the responsibility for what happened. "If they knew about the faulty asphalt it should have been done a long time ago so things like this didn't happen," she said. "I kind of do think the city should reimburse families who have lost their cars, lost their loved ones." Neale was planning to head the Brantford area with his truck Friday, but with snow in the forecast and the wind kicking up, he said he might just hang around Red Hill. Watching vehicles whip onto the parkway, he pointed out there's plenty of reasons people crash their vehicles. "Speed could be a factor. With all the bends and corners in this stretch of highway and how steep it is going down the hill, it doesn't surprise me people slip out. But the amount of accidents here, they can't all be from speeding." One crash in particular has helped cement his view about what's going on along the parkway. 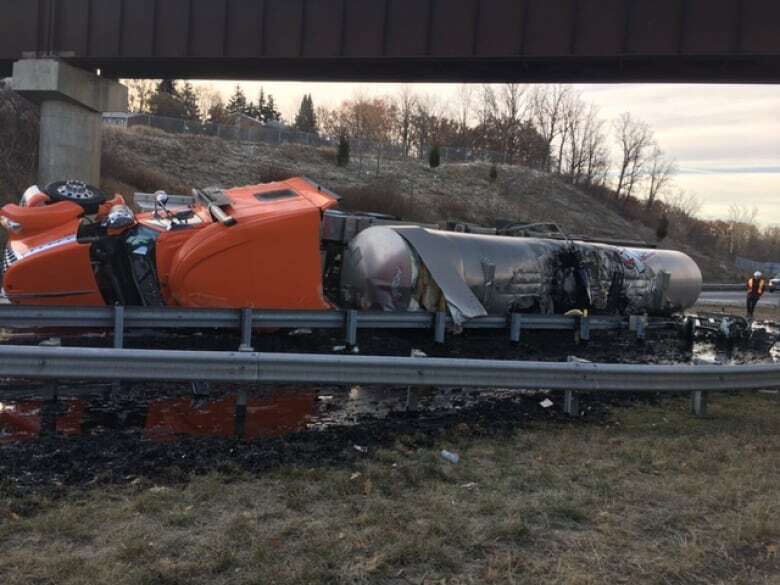 Back in November a transport truck struck a CP Rail bridge, not far from the site of Muis's crash, spilling 44,000 litres of liquid asphalt across the road. Red Hill was shut down for cleanup and a section of the road was quickly resurfaced using a "shave and pave" technique. Before the crash, Neale says that section of the parkway was a hotspot for crashes, but since the resurfacing it's cooled down significantly. "Ever since they re-paved that corner there hasn't been any accidents there so it just makes you wonder."